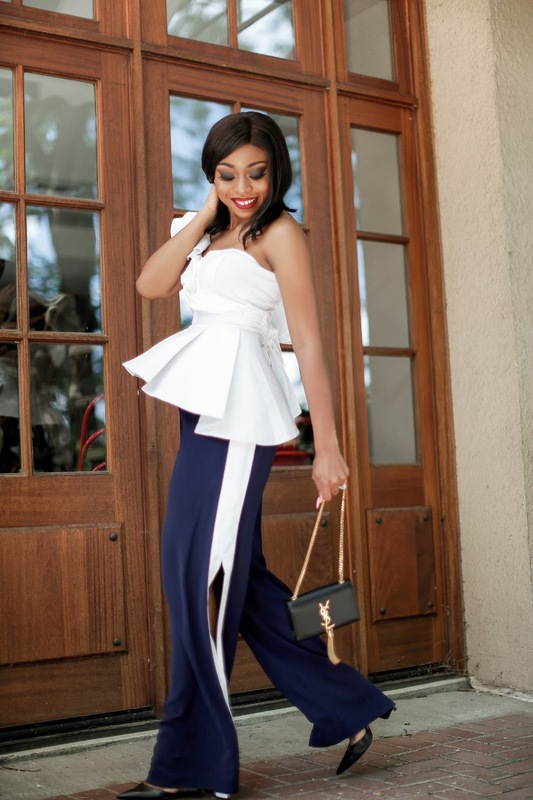 I am mixing sporty track style pants with a ruffle peplum top for today's post. The ruffle peplum top is amazing and the dramatic asymmetrical style is a statement piece that creates a presence on its own. The black ruffles version can be paired with jeans, skirts and shorts. I paired today’s ruffle with knee length slit wide pants with strappy heels. You look gorgeous! I love this top! Your makeup is SO FLAWLESS here!